President Barack Obama appears to have ignored the Democrats’ decision to pass on pushing through a budget and decided to make a move on his own. Obama’s recently unveiled $3.9 trillion budget would raise more than $1 trillion over the next 10 years and increase spending $56 billion above statutory caps in the next year alone, which means that the President did not consider the spending caps both the White House and Congress agreed to last year before he decided to unveil his plan. During a Budget Committee hearing yesterday, Sylvia Burwell, Obama’s White House Budget Director, seemed to struggle to answer Sen. Jeff Sessions’ (R-AL) question regarding the president’s budget proposal. While Obama’s plan would increase spending, Burnwell refused to answer Sessions when asked whether the budget would allow more spending than what had been already agreed to previously when the President signed the Ryan-Murray budget. According to the Budget Director, “there are some questions that are not simply Yes or No questions.” Her justification and defense of the new budget proposal ignores the budget already signed by the president. When asked if she wanted Congress to change the Ryan-Murray budget so that the increased spending proposed by Obama would then become a possibility, Burnwell also struggled to respond. The Senate Intelligence Committee is apparently getting a taste of what it’s like to be the subject of a C.I.A. investigation, and isn’t very pleased. It has partially come to light that the spies have been watching the committee, primarily over an investigation into the Bush administration’s interrogation and detention program in the wake of 9/11. Yes, it’s the long and expensive investigation into the C.I.A.’s use of “enhanced interrogation techniques” coming back to bite the committee. It’s no secret that the C.I.A. was less than pleased with the findings the investigation, and when the Senate Committee managed to get their hands on a secret document that contradicted C.I.A. Director John Brennan’s contentions that their initial investigation was at least partially false, things started to get ugly. Like many other webs of intrigue in our government these days, one almost needs a scorecard to keep track. 1. The Senate Intelligence Committee engaged in an investigation of the interrogation and detention program. This cost taxpayers more than $40 million because the C.I.A. insisted that the investigation had to take place in a secure location, and all the material had to be reviewed by an outside contractor before it could be released to the committee staff. 2. The investigation found that the techniques like waterboarding used by the C.I.A. really didn’t yield a great deal of useful information. It certainly didn’t justify the use of those techniques, and placed the U.S. in a difficult situation when it came to foreign relations. Making matters more ominous, the Russian military has issued ultimatums to Ukraine: surrender - even Ukrainian warships in Crimea – or face “a military storm” by 9 PM EST today. How far will he go? The evidence that Issa, who chairs the House Oversight Committee, has obtained are emails showing that Lerner drafted the proposed IRS regulations that would restrict political speech of nonprofit groups that engage in public policy discussions. The regulations are currently being considered by the IRS. Wallace asked whether the House Oversight Committee offered Lerner immunity in exchange for her testimony. “We did not,” Issa replied, adding later that he believes the disgraced IRS official will answer all the committee’s questions about the powerful tax agencies targeting of conservative groups. US intelligence does not anticipate a Russian invasion of Ukraine. Russian forces arrive “uncontested” in Crimea, barricading roads, commandeering the Sevastopol airport. Obama warns of “costs for any military intervention in Ukraine”. 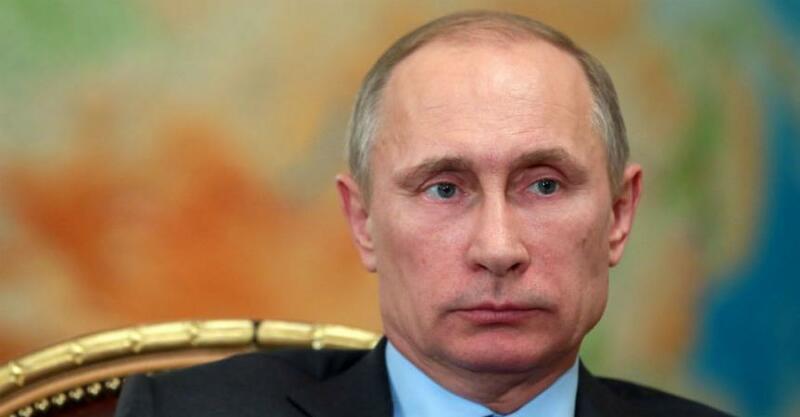 Putin requests permission to deploy the Russian military to Ukraine. Within an hour, the duma grants, and the full Russian invasion of Ukraine begins. As we can see, Russia takes American threats very seriously. And why should they? President Obama’s planned strike on Syria was stopped in its tracks (fortunately) by behind-the-scenes dithering, overwhelming popular opposition, and congressional uncertainty. Putin knows America has no stomach for military intervention after almost thirteen years in Afghanistan and Iraq. Perhaps at no time in its history since the passage of the Alien and Sedition Acts have the citizens of the United States been more in danger of losing their First Amendment right to free speech than they are today. How ironic then, that the attacks are coming primarily from the political left, who have long declared themselves defenders of free speech. Yet the astute William F. Buckley seems to have had it right when he observed that ”Liberals claim to want to give a hearing to other views but then are shocked and offended to discover that there are other views.”Such reviling of opposing speech is rampant today, and is getting worse. Following the revelation last year that the IRS had been targeting conservative groups with words like “TEA Party” or “Patriot” in their names, Obama and Attorney General Eric Holder claimed to be shocked and appalled that this agency would be used as a bludgeon to silence their political opponents. Senior IRS official Lois Lerner resigned, and refused to testify before Congress, invoking her 5th Amendment right against self-incrimination. The nation was assured that the Obama administration would get to the bottom of it. The government may have to expand its surveillance programs following news concerning several lawsuits filed against the NSA. Why? Because the NSA will have to avoid destructing phone records in order to preserve evidence requested by a number of lawyers involved in NSA-related lawsuits. The unexpected change in plans would force the NSA to keep all phone records it collects, which would mean that the agency would have to expand its programs and database in order to respond to requirements put forward for litigation purposes. ACLU’s lawyer Patrick Toomey, who’s involved in the lawsuit against the government’s unconstitutional surveillance programs, says that the lawsuit was filed precisely to ensure that the telephone data collection programs are not expanded, but ended for good. According to the lawyer, the government never discussed the possibility of an expansion of the data collection program just to respond to litigation requirements. It would be especially difficult for anybody to consider the government would use this excuse to expand the program when President Barack Obama just ordered senior officials to leave the data collection to the phone companies that log the calls. The Foreign Intelligence Surveillance Court will have to give the heads up on expending the data collection program, which would not be a problem for the government. An ever-increasing federal minimum wage is a statist panacea. Even Mitt Romney supported tying it to inflation in the 2012 campaign. But the CBO on Tuesday released its report scoring the proposals, and the numbers aren’t good. Economists and politicians have debated for decades about the minimum wage’s effect on employment, but the non-partisan government calculator has spit out a decisively negative result, at least for employment. Now, it’s just for federal contractors — with, to WSJ’s point, an eye toward a campaign issue — but it’s still not a very good sign because it’s likely a shallow move to gain political favor that sets a bad example for a couple of different reasons. After reviewing thousands of pages of a series of Benghazi-related documents, including classified emails and situation reports, the Subcommittee on Oversight and Investigations released a summary of its members’ particular reviews regarding what is known of the circumstances surrounding the Benghazi attack and the Department of Defense’s response. In other words, what the Subcommittee concluded appears to sound nothing close to what Think Progress reported.